When I attended one of my first AAPW shows it was in the spring of 2008. There was a guy covered in tattoos in the crowd that night and he was making some noise. 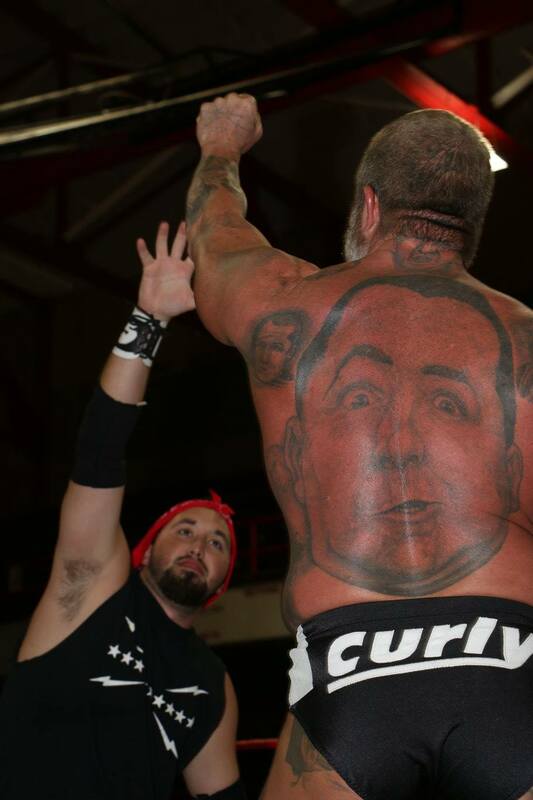 Upon closer look, the tattoos were a tribute to the 3 Stooges and that guy was a pro wrestler named Curly. A couple years later Curly was on News 3 This Morning with me to promote a benefit wrestling show he was doing. It was also the first time I'd met Heath Hatton, who ended up getting bodyslammed onto the studio floor that morning, but that's a story for another day. 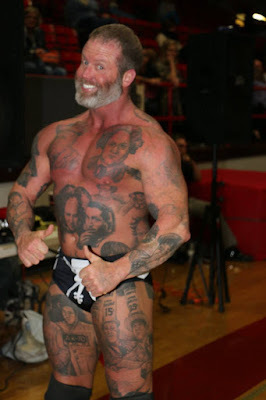 Curly as I mentioned has lots of tattoos. Ninety-nine to be exact and each is in honor of the comedy trio. Curly and I would work together in AAPW when the first TV deal was signed in 2011. He and Hatton were the company's tag team champions and he never failed to entertain the crowd. Curly, Jr. was often ringside and provide an extra level of enjoyment for fans. But eventually Curly had to walk away from wrestling, but he continues to do special events from time to time. We last saw him in the ring at the Redbird Rumble for Stride Pro Wrestling in November. He is scheduled to step through the ropes again this Saturday night at Brave the Storm. Who will his opponent be? You'll have to join us in Pinckneyville to find out.